Siming Yu gave a presentation at IDS-FunMat in Belgium. Written by jags on March 20, 2014 . Posted in Conferences, News. IDS-FunMat is an EMMI International Doctoral School for Functional Materials, supported by ERASMUS MUNDUS. The fourth Training School took place on 16-21 March in Spa, Belgium where a number of high-profile external speakers were invited. 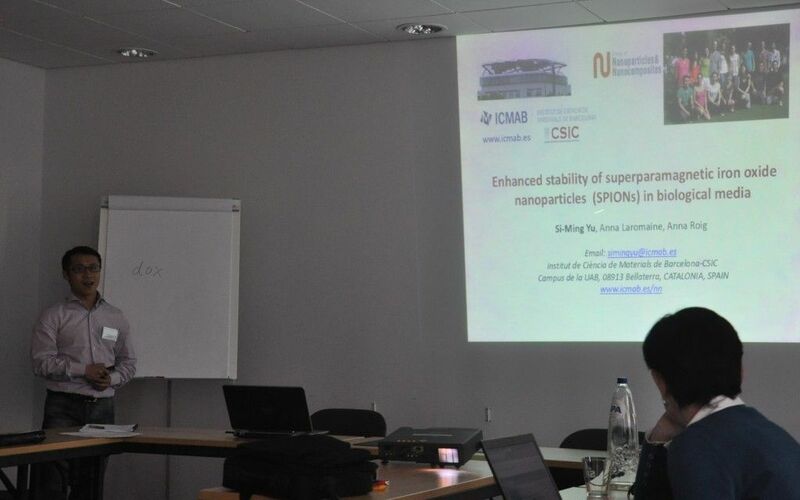 Siming gave a presentation on the stability of nanoparticles in biological media which is part of his PhD thesis.